As "Night-shoots" become more and more popular it is good to see a display team finally take up the challenge of organising such an event! 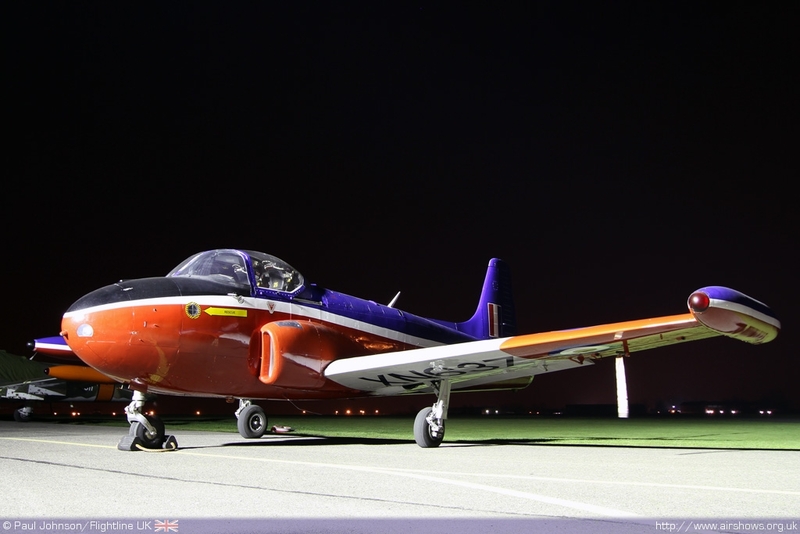 The Gnat Display Team had originally planned to launch its new three-ship display, but in the end, just one of the active Gnats was available for the night-shoot itself and was joined by a blast from the past, Gnat G-FRCE. 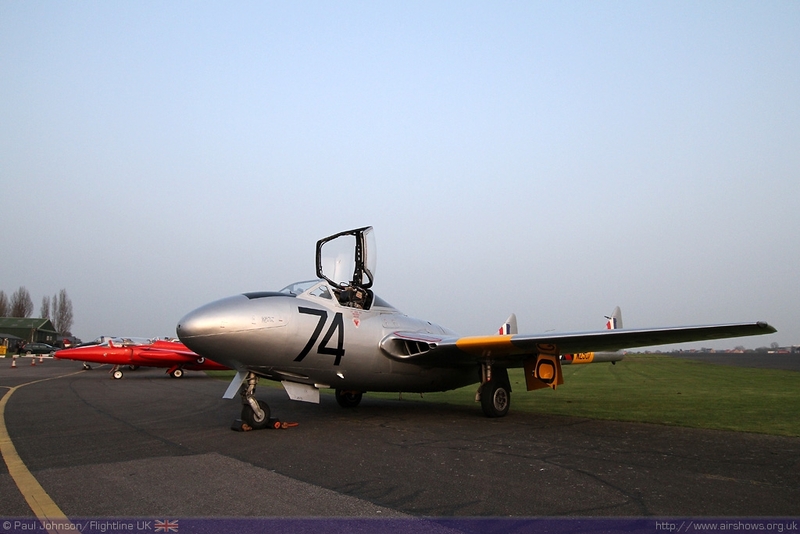 The Gnats were joined by a host of other North Weald residents ranging from a Yak-52 to the Vampire Preservation Group beautiful Vampire T11. 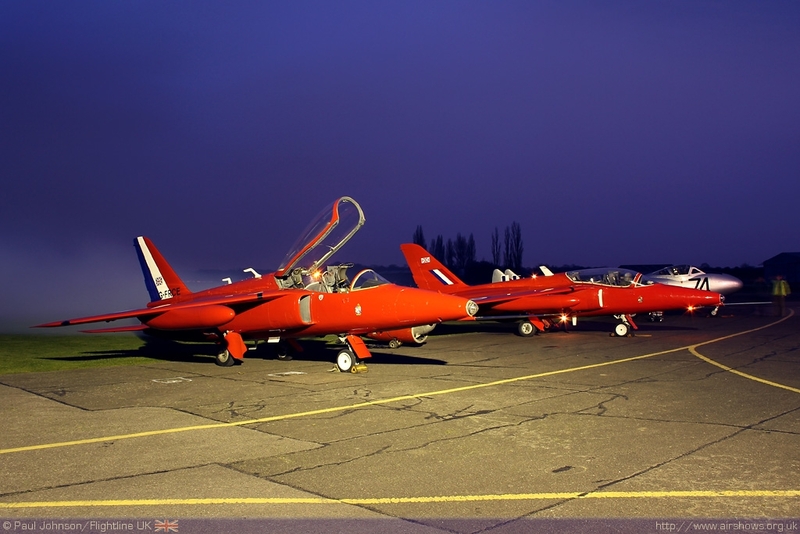 The last weekend in May saw the clocks "spring" forward to British Summer Time and possibly the last major "Night-shoot" before the main airshow gets underway in just under a month’s time. 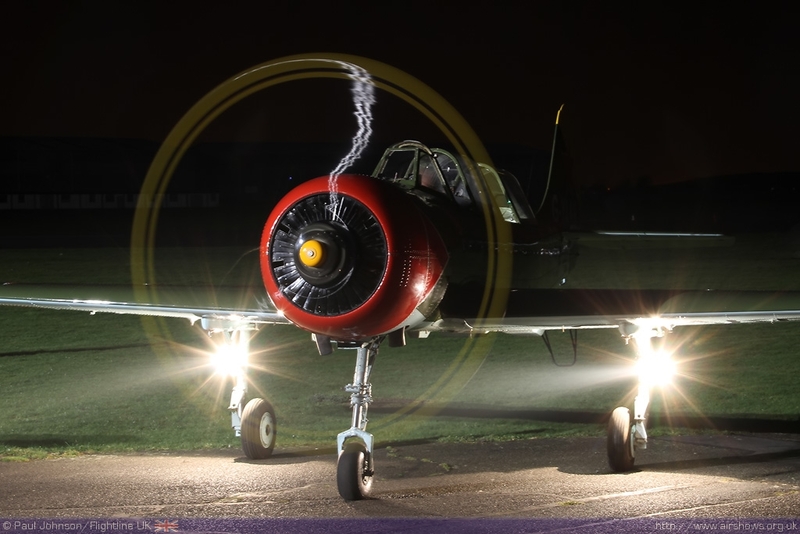 Night-shoots are now very popular amongst aviation photographers providing a chance to get some very different photos from those on offer at the major public events throughout the summer. They range from those held in permanent static collections at Museums to those organised at RAF Northolt by Philip Dawe which sees active military machinery invited from around Europe. 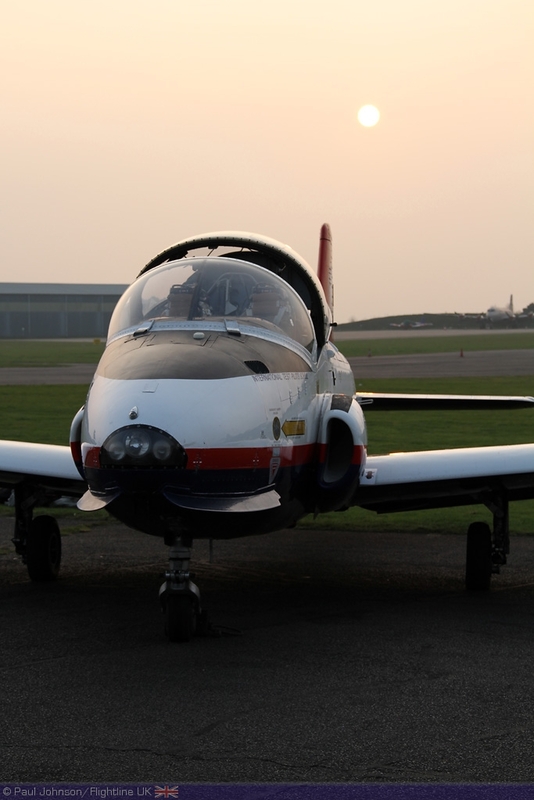 The event at North Weald is the first we have heard of organised by one of the popular display teams that frequents many of the major airshows throughout the summer. 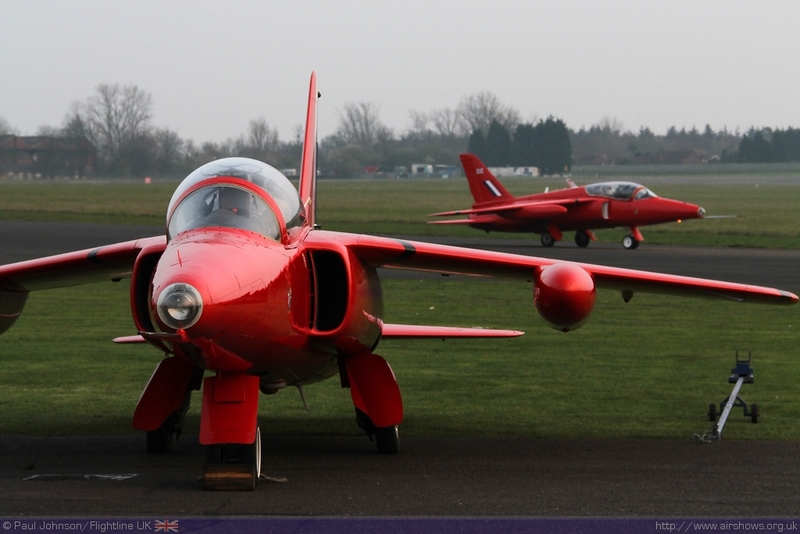 The Gnat Display Team hope to operate a display of three Folland Gnat T1s for the 2011 display season with the recent addition of XR991/G-MOUR making a welcome return to North Weald Airfield. 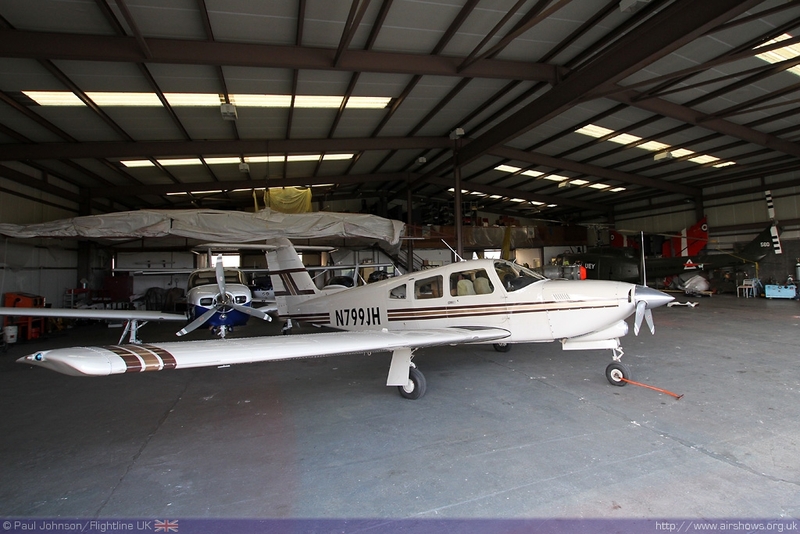 G-MOUR was operated for many years from North Weald by the famous Intrepid Aviation Company founded around David Gilmour’s eclectic collection of classic aircraft which ranged from a Beech Staggerwing through to the P-51 D Mustang and Gnat. 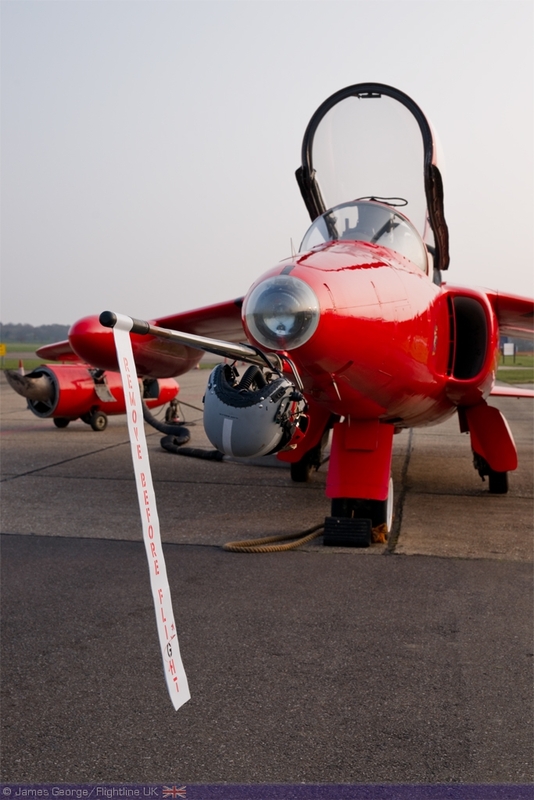 After Intrepid, the aircraft them moved on before eventually finding its way into the capable hands of Delta Jets at Kemble where is had its second life as a display machine making many appearances alongside Delta's superb collection of Hunters. G-MOUR moved to North Weald again over the winter, albeit in pieces by road. 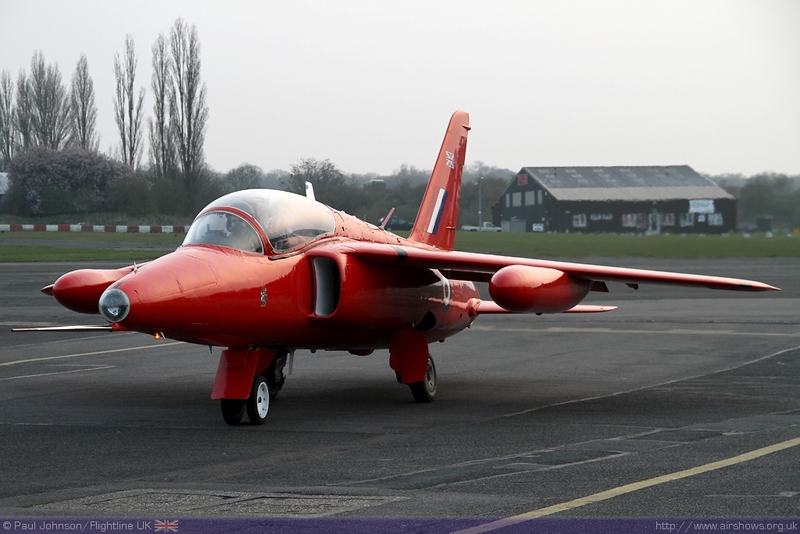 It is currently being prepared for flight by the Heritage Aircraft Trust, the parent charity for the Gnat Display Team. 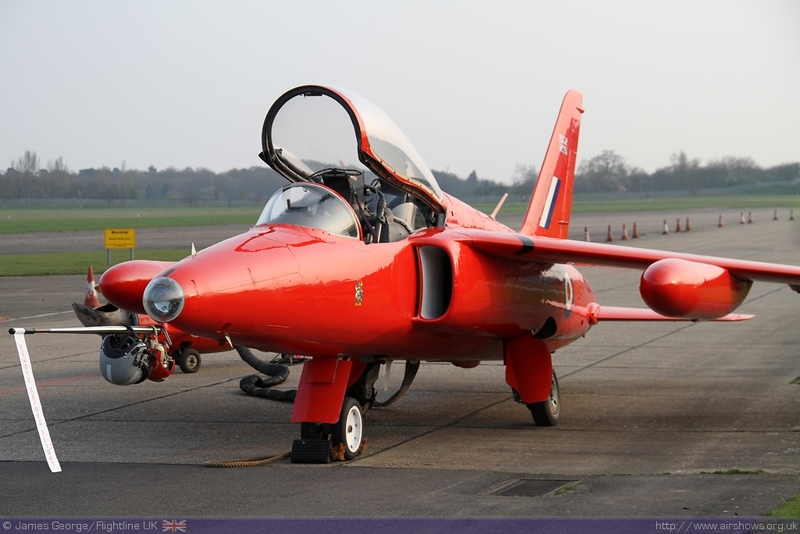 The Gnat Display Team's objective is to "to preserve and protect the Gnat and other historic aircraft for the benefit of the public and demonstrate and display such aircraft at public event and to conserve them as heritage assets." The Gnat Display Team fly two other Gnats which have been a popular addition to the airshow circuit. Amongst the team are Civil Aviation Authority approved engineers who operate a dedicated company looking after the Trust's aircraft alongside a number of volunteer display pilots. Those pilots include "Willy" Hackett, Mark Grimshaw, Kevin Whyman, Mark Fitzgerald, Stephen Partridge-Hicks and Oliver Wheeldon. 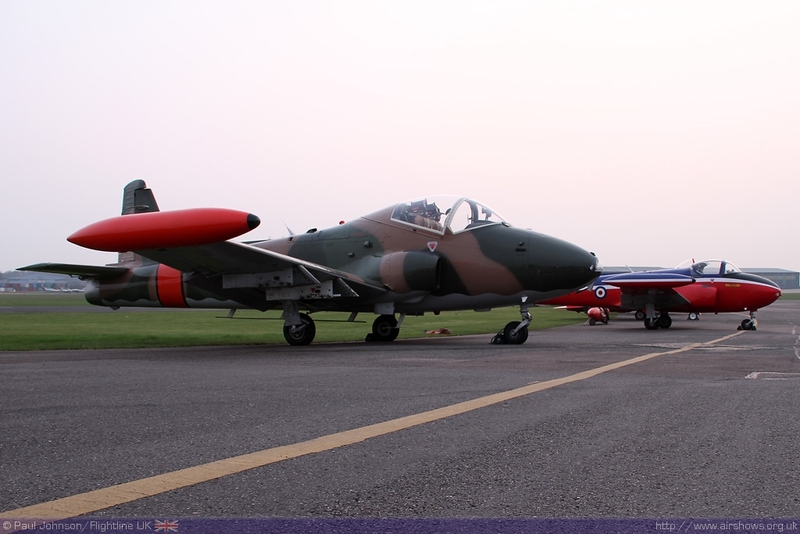 The other two Gnats in the team are XR538/G-RORI and XS111/G-TIMM. 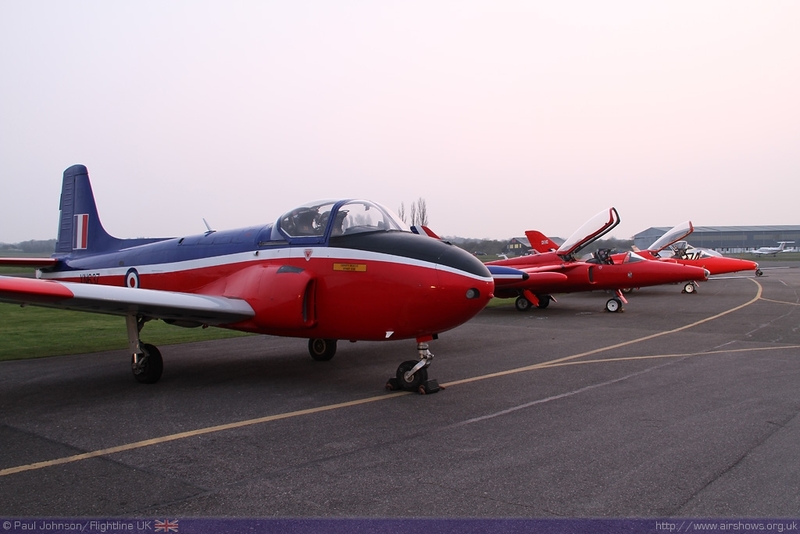 'RI wears the red and white colours of 4FTS which it wore for its 16 years of operations with the school at RAF Valley, finally being retired in March 1979. 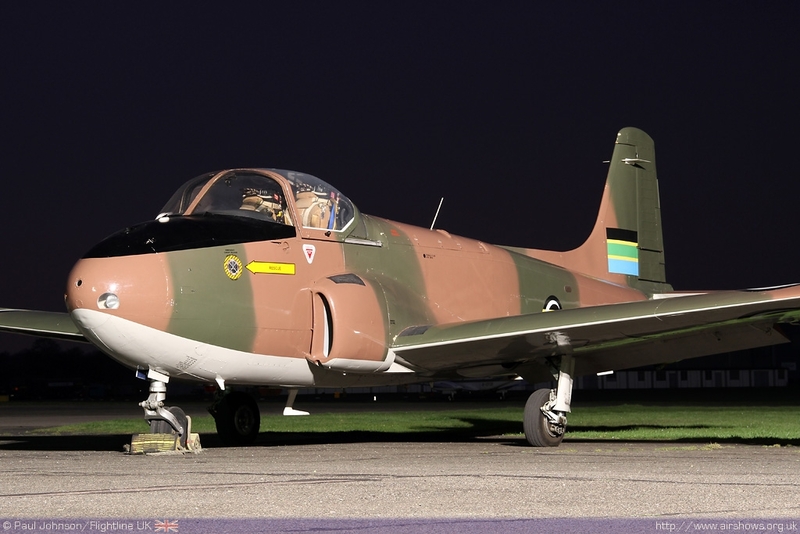 Sadly, 'RI was not present for the night-shoot having suffered a minor "FOD" related incident at RAF Scampton just prior to the event. 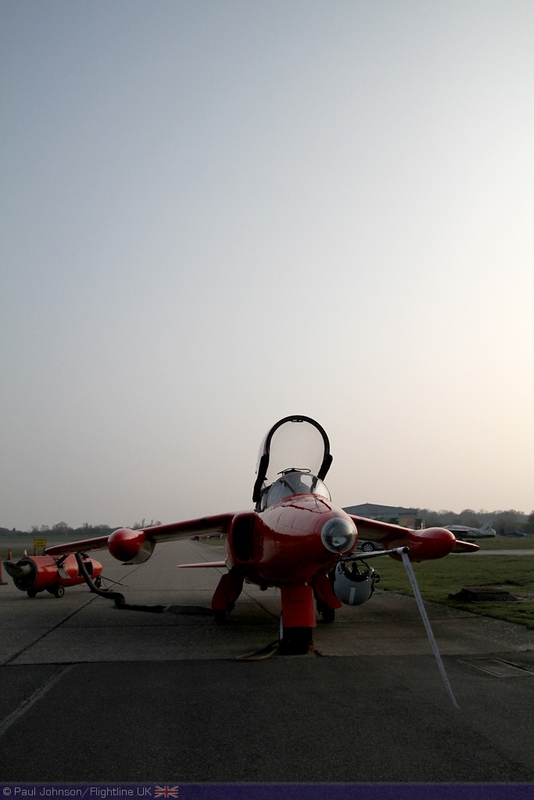 That left XS111 as the only operational Gnat participating in the shoot. 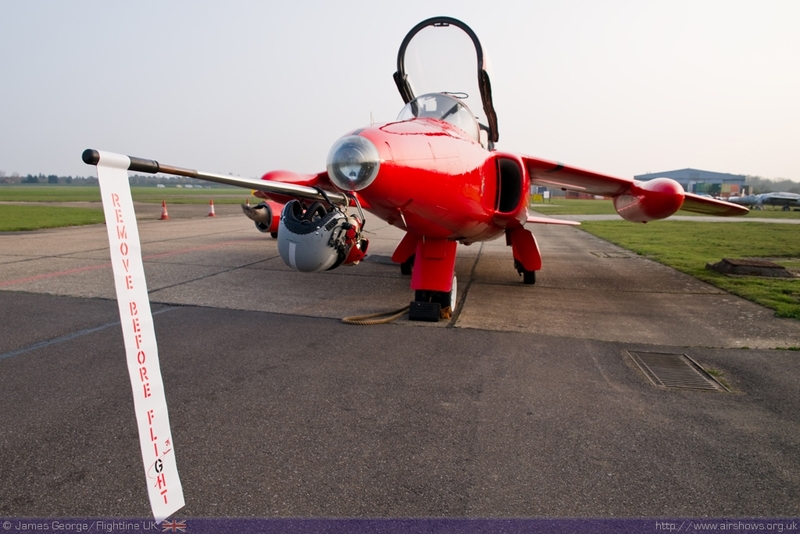 'MM is painted in the colours of Ray Hanna's aircraft when he was leader of the Red Arrows. 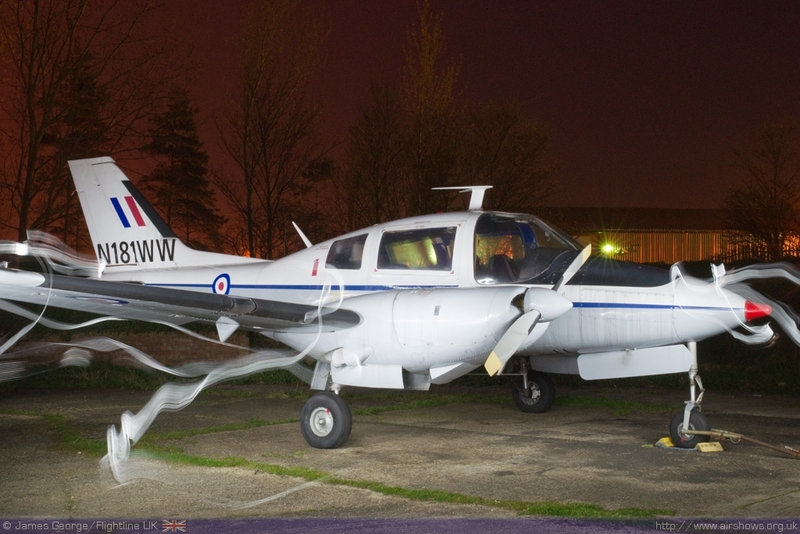 It is actually however XP504, a machine used by 4 FTS throughout it's life at RAF Valley before being retired from flying in 1979 and passing on to RAF Halton as an instructional airframe. rame. 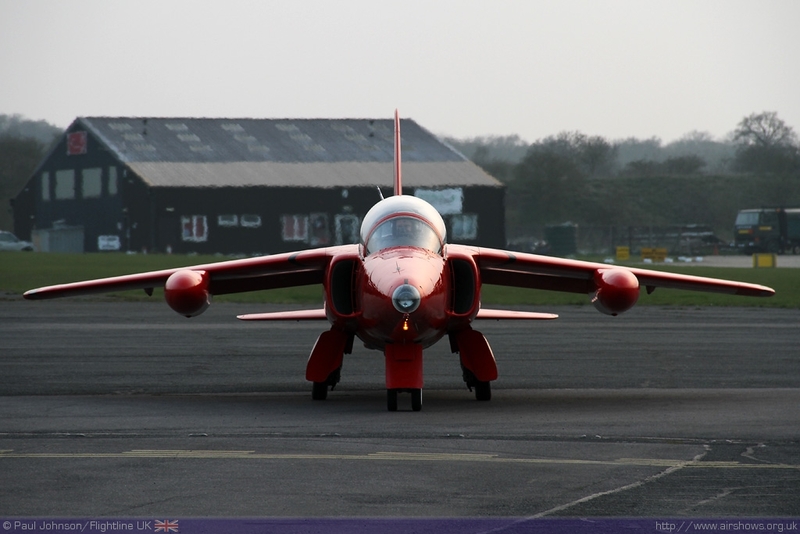 The 'spare' Gnat for the night-shoot was XS101/G-FRCE. 'CE is no stranger to airshows or public events having been a popular performer at airshows in the 1990's wearing the all-blue colours of Butane Buzzard Aviation. 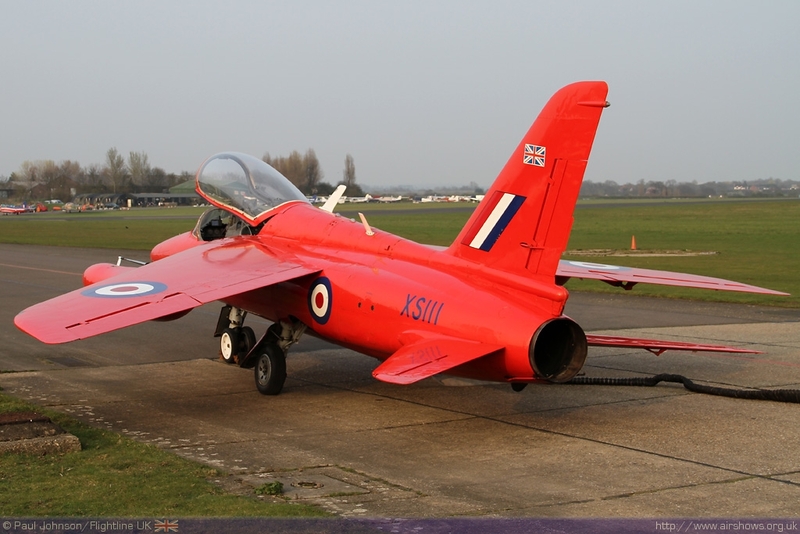 Now however, it's a non-flyer though looks in remarkably good condition on the exterior in it's Red Arrows colours; perhaps we will see her fly again in future? 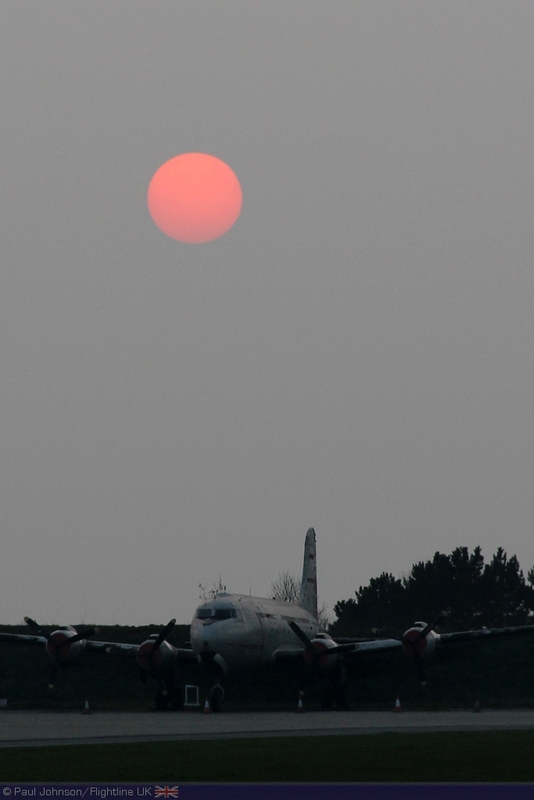 The night-shoot took place on the first day of British Summer Time at the and of March. The weather was particularly kind allowing early arrivals to take advantage of the late afternoon sunshine to photograph the team's hangar which contained G-MOUR and the based UH-1H Huey as well as the other aircraft gathering for the shoot near to the famous 'Squadron' which is the hub of the airfield. As the late faded away the lights came on for the night-shoot proper. Joining the Gnat's for the night-shoot were a gaggle of interesting North Weald residents. 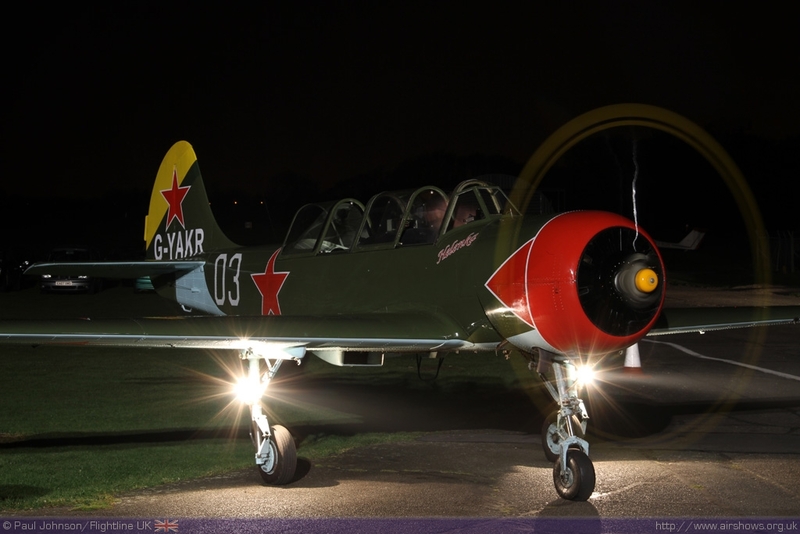 Providing some Russian presence were a pair of Yaks, a Yakovlev Yak-18T and a Yak-52. 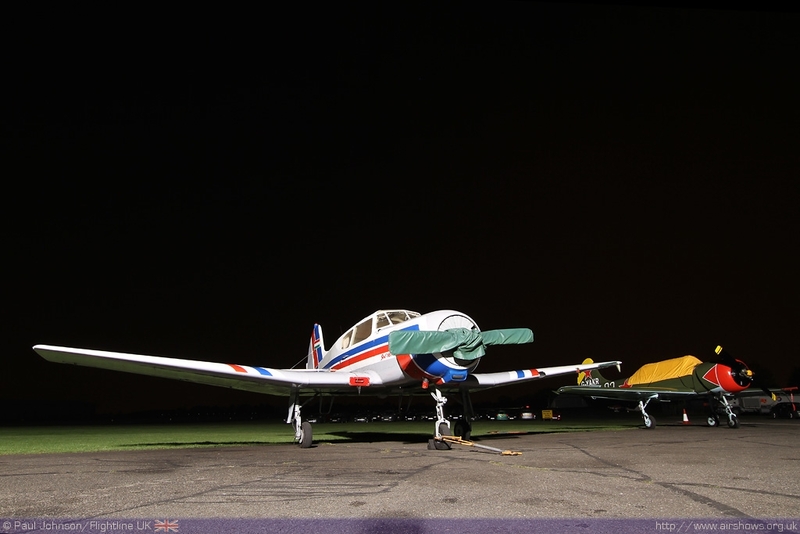 The latter provided a spectacular night run complete with landing lights! 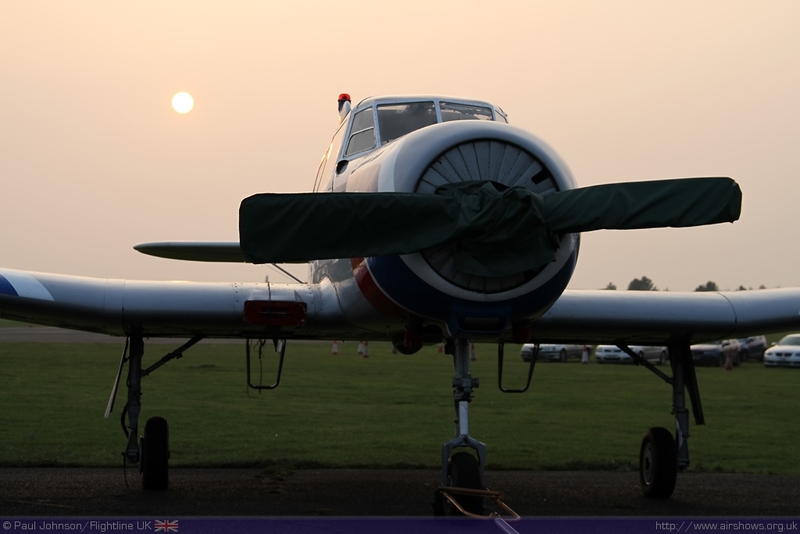 The rest of the aircraft were a selection from North Weald's healthy collection of classic jets, many of which are regular visitors to airshows during the summer months. 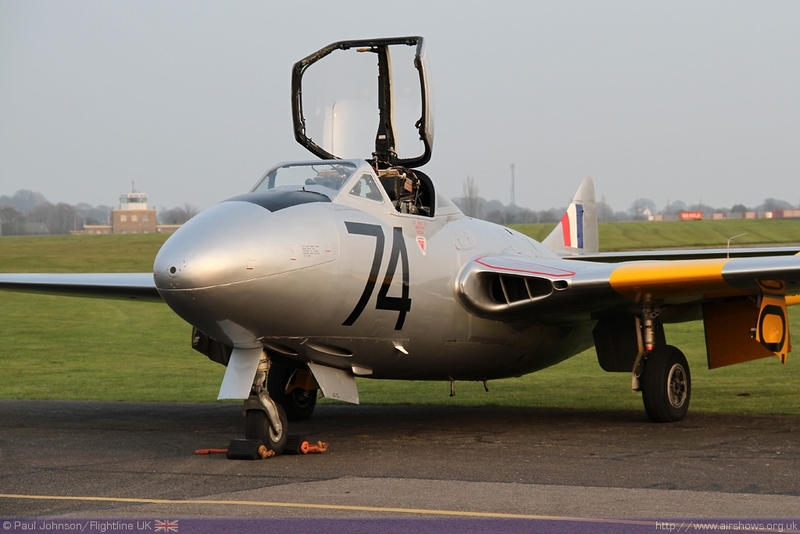 THe Vampire T11 of the Vampire Preservation Group is a regualr sight around North Weald thanks to many different airshow commitments. 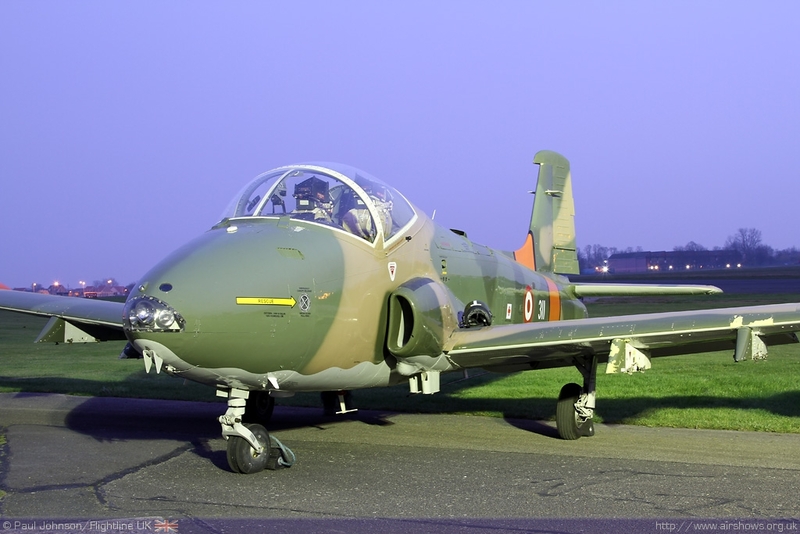 Alongside it were a multitude of different variants of Jet Provost and Strikemaster. 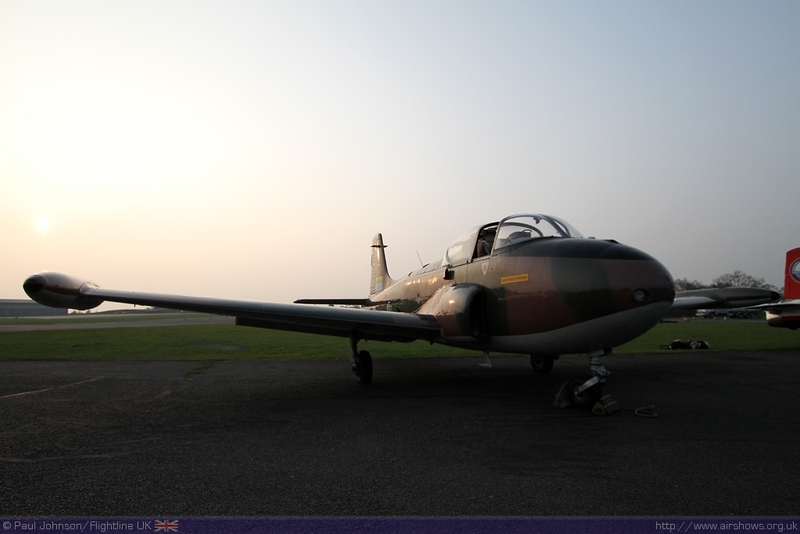 Perhaps the most exotic were the Jet Provost T52 and the Strikemaster wearing the colours of the South Arabian and Singapore Air Forces respectively. 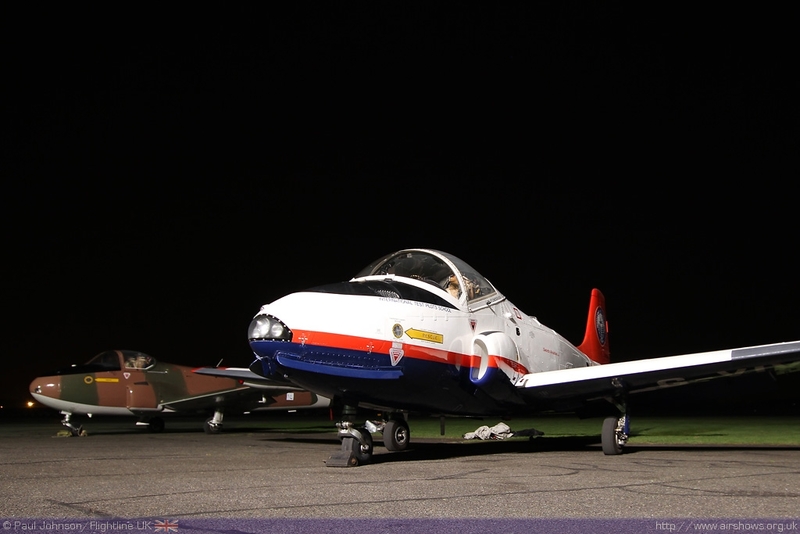 They were joined by Swords Aviation's Jet Provost T5 and Oliver Wheeldon's Jet Provost T3. A number of the aircraft put on engine runs, though due to the noise restriction at North Weald they happened in very quick succession. 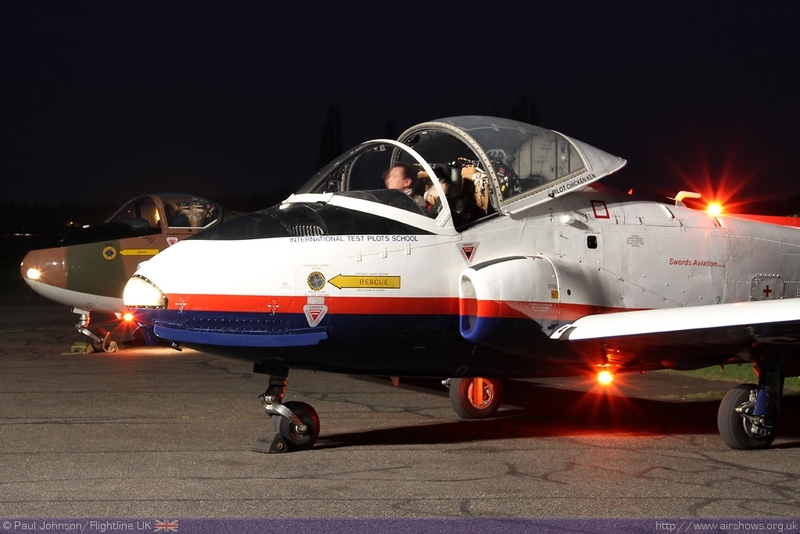 Perhaps one of the moments of the night was the engine run by G-TIMM complete with smoke making for a very surreal shot of the two Red Arrow's marked Gnat. 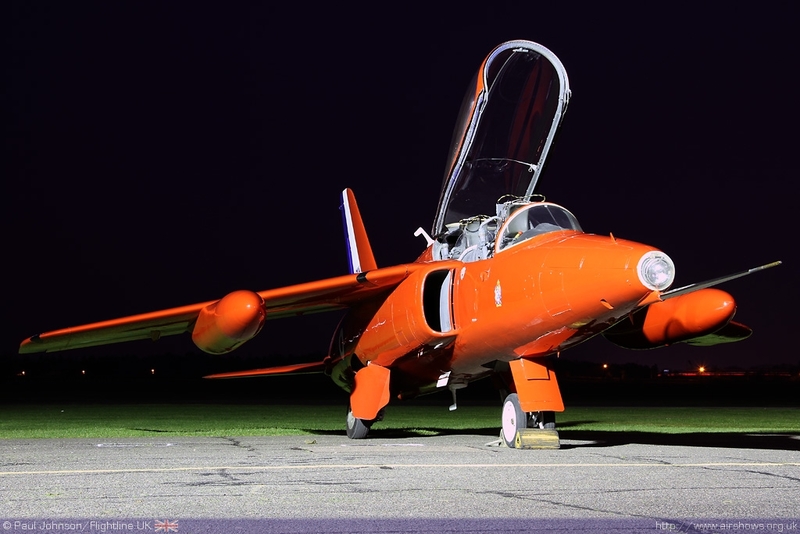 It was an excellent evening at North Weald thanks to the hard work of Egon Johansen and the rest of the Gnat Display Team. the event presented a wide variety of oppotunities for the enthusiastic photographers in the very firendly atmosphere the Squadron. 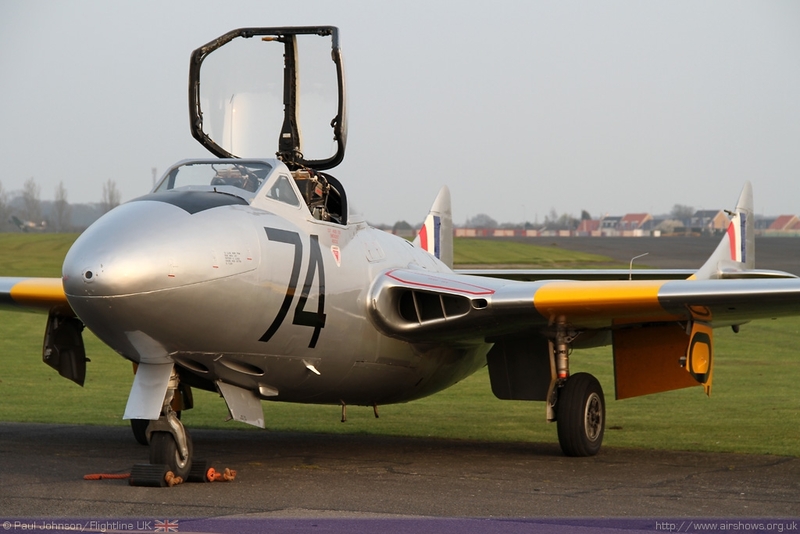 We hope this is the first of many such events at North Weald.